I just found this list this week about how to be German. Now, while this is just a bit of fun, I think it is spot on! These characteristics are things we have noticed about the Germans. It is what makes them lovely or annoying (depending on what you like). Some of those habits we have already got used to and have taken on ourselves as a family. I am just going to comment on some of the things we have found to be true so far. Germans do wear slippers or house shoes whenever indoors. Kindergarten kids wear slippers. They even have pairs of slippers for guests. While we don't necessarily wear house shoes at home (we like the barefoot look), we do wear some much more often than in our previous house. 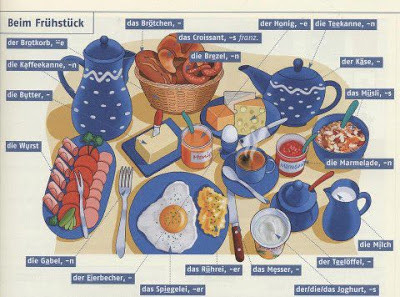 Breakfast is a very important meal in Germany. And it is not just for the Sunday brunch (which takes the whole day)! Germans have insurances for everything. And a lot of people have insurance advisers. This is one we don't really understand! It comes down to being prepared and safe but we thought the Germans were sensible people! There is a German saying that says that there is no such thing as bad weather, just bad clothing. It is true in Germany! If you are going outdoors, dress for the outdoors. You cannot overdo it in Germany: hiking boots, trousers that zip into shorts, expensive outdoor jacket,... On our daughter's list of kit needed for kindergarten was: rain jacket, rain trousers, snowsuit, etc. Oh dear God yes! Do not cross the road on red. You will get looks murdering you and even could get shouted at (even if there is nobody on the road). It is basically apple juice with sparkling water. Love it! Germans are very direct. They will tell you if you look fat, ugly or look rough. And they will be direct about it. They will not say it in a polite way or by going around the issue. Cars are all immaculate here and relatively new. There are few beaten up old cars. Sundays are dead even in a city. Apparently Germans do housework in the morning and go for a walk in the afternoon. Suits me fine (apart form the housework bit). Hey I love the new site and - eek - if you changed it ages ago, forgive me as I've been out of the loop and well behind on following my favorite bloggers. So I am coming out of my hybernation to say I enjoy your blog so much I am nominating you for a Liebster award. I know what you are thinking... a what?!? That was my reaction too. It's one of those viral awards that someone gives you and you then can chose to nominate people. 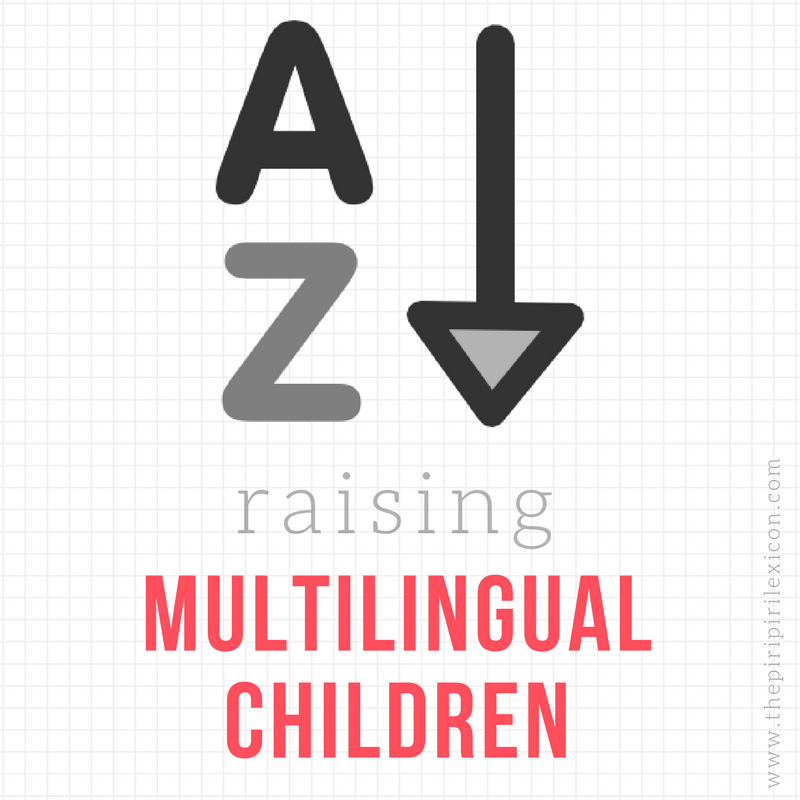 Here is a link to a post [http://multilingualmama.com/2012/12/20/flattered-and-grateful-despite-mysterious-origins/] I wrote which includes the 'to dos' like answering a series of questions. I appreciate the passion you seem to have for all things language and culture, and also really like the layout of your new site. Check it out if you're so inclined...and participate, if you're interested. Either way, like Multilingual Mama said, you now know you have TWO fans, at least one of whom is in Portland, OR. Thanks for helping to make this bilingual blogging community as strong and awesome as it is!! My first imulse was to deny that. Then again...but lets check the list: Fat? That will not happen unless you either ask for it (and your counterpart is insensitive) or....well....usually will not happen. Ugly? Come on, where did you get that? Unless a really bad-mannered person wants to insult you, nobody would do that. Telling people they are ugly is as rude in Germany as it is everywhere else. Coming to the last point: Looking rough. Yes, will happen in an instant. But it is mostly not meant offensively but emphatically. So if you worked through the last night and come to work the other day, not having slept and spent enough time in the bathroom, or even if you are ill a "Hallo, du siehst aber fertig aus!" is normal. But its meant symphathetically, not as an insult. It is just direct, if not to say blunt. In another post you mentioned having been shouted at by the cashier, as an example for perceived german rudeness. Has never happened to me. If so, i would shout back and never visit the store again or call for the manager. I am not saying it is all necessarily a bad thing. But most of it is very surprising and I would even a little schocking to a foreigner (especially one having lived in the UK for a long time). It takes a lot of getting used to. Propably. But then again as in every country you have annoying and nice people. And there is a difference between being rude and knowing when not to speak out even if you know something to be true. Concerning little things like "You look rough, no sleep last night? ", or "You should maybe add a bit more salt" when invited to dinner (with good friends)...for me that is cultural flavour, but i prefer it that way. The red man.. Ahahaha.. Souvenir.. We did an exchange student program at 14 years old. When the German came to France we were in the city all walking and crossing the road as we usually do (look left- right go, no need to check a color ;-) ) .. We realise like good 3 minutes later that all the Germans were still stuck waiting for the green even if they was no cars ..lol..